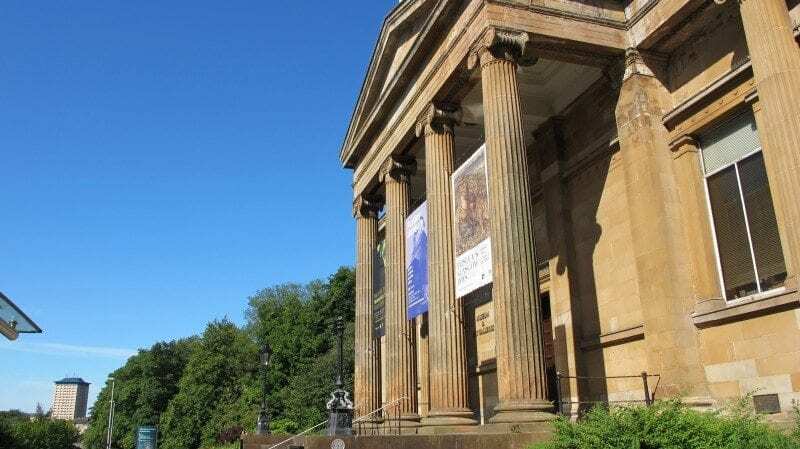 The Pillar Gallery, part of Paisley’s Museum and Art Gallery, is being returned to its original Victorian splendour 40 years after it was ravaged by a 1970s make-over. The original double arched ceiling was lost to view when a lowered ceiling was installed. The 1970s ceiling halved the height of the gallery, significantly affecting the look and feel of the display space. The ongoing nine month restoration has seen the removal of the suspended ceiling and associated lighting. During the work air handling units were also removed along with plinths, display structures and redundant ICT cabling. The double arched ceiling and walls have been redecorated, the pillars have been re-plastered and the floor has been resurfaced. Councillor Iain McMillan, Convener of Renfrewshire Council’s Community and Family Care Policy Board, said, “The Victorians had an eye for space and believed in architecture which inspired and impressed. The 1970s saw a rebellion against what was seen as the over ornamentation of the 1870s. The upgrade has involved fitting new energy efficient lighting and installing two banks of seats with projection and screen capabilities, new information graphics and new display cases. The new/old look Pillar Gallery will be officially opened on 7 November. Exhibition themes are expected to include: natural history, the Victorians, World War I and II, archaeology and the Egyptians.